Be the first to hear about their new releases and deals. 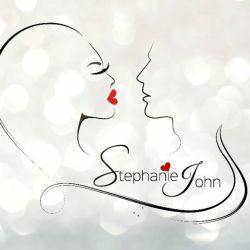 Download the Booksprout app and search for Stephanie John today! Most days, you'll find Stephanie John on a yacht, wearing a very skimpy bikini, drinking champagne, eating chocolate and never gaining weight. When she isn't asleep and dreaming, in real life you're more likely to find her at the school gates, wearing whatever she dragged on that morning, drinking copious amounts of coffee. She still eats chocolate, though -- everyone has their vices, right?